Your stone and granite countertops can be fabricated with a variety of different edge options to suit your customer’s taste and style. At Precision Stoneworks, these standard edge finishes are included in the base pricing of the stone. Premium edges are available for an additional cost, priced by linear foot of edge. Custom laminated granite edges are quoted per job, on a case-by-case basis. Standard granite edges are included in quoted base prices. Pick from Eased, ¼” Round, ¼” Bevel and ½” Bevel. Premium edges are available at an extra charge in most cases. 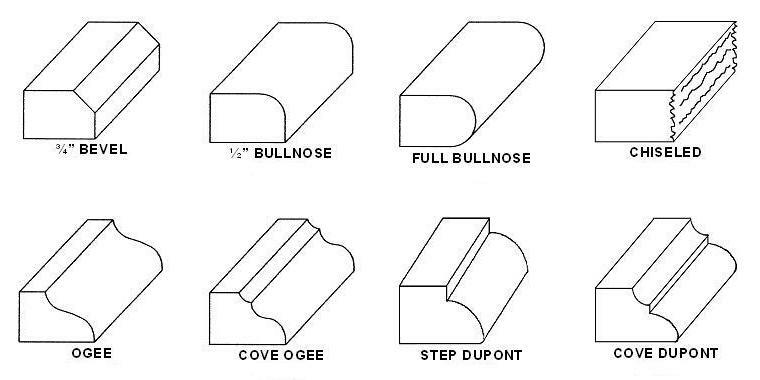 Choose from among ¾” Bevel, ½” Bullnose, Full Bullnose, Chiseled, Ogee, Cove Ogee, Step DuPont and Cove DuPont. 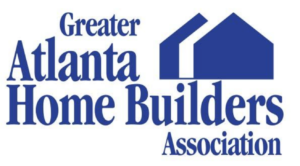 Laminated edges can be achieved by using an adhesive to permanently seal a second layer of granite, marble, or stone to the underside of the edge of the countertop surface. This “double-thick” effect can make for an especially stunning and impressive appearance while keeping cost and weight closer to that of standard thicknesses, and can be done with both 2cm and 3cm slabs. Custom laminated edges must be priced for each individual job on a case-by-case basis. Please contact us to inquire about laminated edge pricing.